My first foray into travel photography was full of new considerations for someone like me who’s used to taking pictures mostly in fields in the quiet countryside and mostly with only cows, birds and trees for company. Lugging a carbon fibre Gitzo tripod, measuring at least 70cm in length, on a plane, through multiple train and metro stations and into many buildings seemed impractical and frankly overkill for the kind of shots I was looking to get. 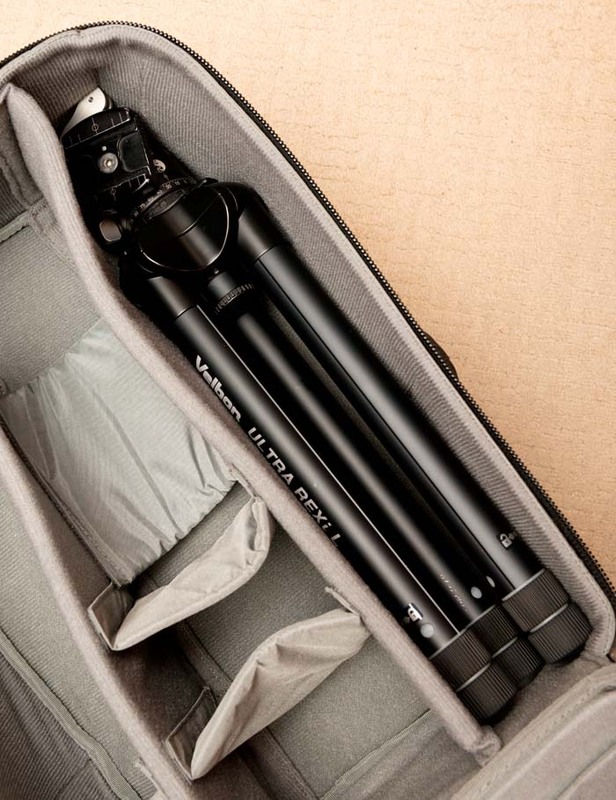 The Ultra REXi L folds to a compact 36cm without a head attached. 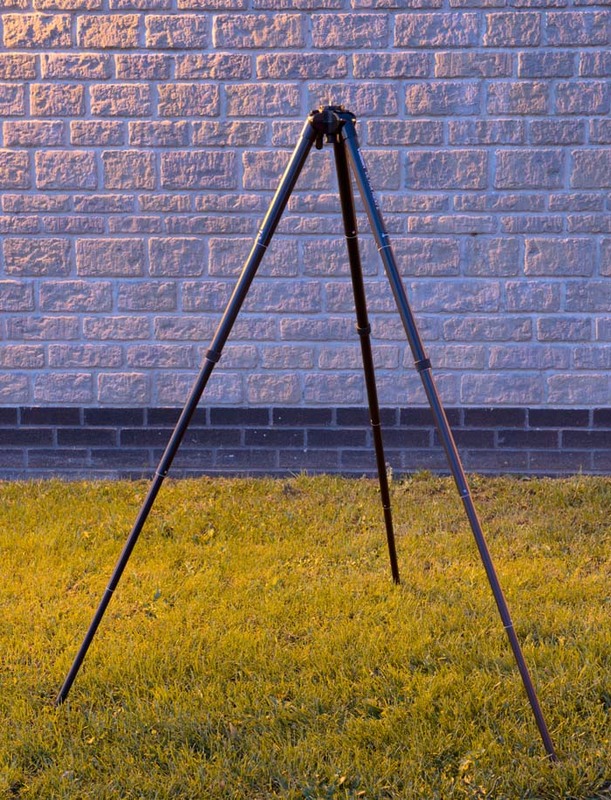 I already had an RRS BH-40 ball head which is 8cm tall so once I’d added Rexi legs to the BH-40 head the tripod measured 44cm long. In addition to buying the REXi I’d also purchased a Thinktank Airport Commuter backpack, which held the REXi plus BH-40 snugly. The beauty of this setup is that the Airport Commuter fits within most (if not all) airlines’ max hand luggage allowance so I could easily carry my camera plus lenses, laptop, chargers and tripod inside one bag and not have anything on show that gave me away as a photographer. Out in the field (Field? Err, I mean concrete jungle), the REXi worked very nicely. Being used to the wonderful twist-lock Gitzo legs I was afraid I would end up frustrated, and I have to admit that the REXi’s legs took a little getting used to, but within a day I’d mastered them and found I could extend the tripod easily. You might think that with such a short folded size the REXi wouldn’t be that useful once extended but with 5 leg sections it reaches a height of 153cm. Yet despite having so many sections its legs always felt solid and certainly didn’t wobble in all the places I used them. I was very comfortable with my Nikon D800 plus 70-200mm lens, weighing around 2.4kg in total, attached. A bonus of using such a small tripod is that it was easy to sit it on narrow walls, seats, railings, etc and not have to bother extending all the legs. Without its legs extended it allows a working height of around 40cm from the ground and it has a footprint of about 35cm. That meant I could sit it on a wall really quickly, get the shots, then fold its legs closed and carry the camera plus tripod without fuss. Furthermore, it worked well as a potential self defence weapon wielded in my hand as I passed the annoying men with bits of string at the foot of the Sacré Coeur! Was the REXi a good choice? So, after two weeks of city photography, what do I think? For £100 the REXi is a bargain. Bear in mind that I was photographing solely in cities where I would almost always have a solid concrete floor to stand the tripod on. I wasn’t intending to use it on hillsides or in streams where its legs would have to be splayed at all angles. I wasn’t expecting 50mph gusts to be buffeting my camera. But I was looking for something relatively inexpensive that would work well and not hinder me on my travels. 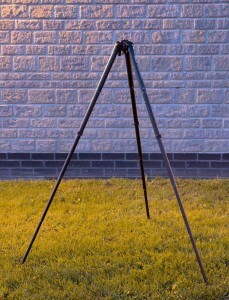 Having said that, I bet this tripod would still be great in a field or getting its feet wet in a stream. I’d still much rather use my Gitzo for this kind of work but I’d really think twice if public transport was involved. If, like me, you already have a tripod for landscape or any other form of photography and you already own a tripod head, the REXi could be the perfect backup or travel tripod. Couple it with a head such as an RRS, Arca Swiss or any other similar brand and I would expect it to fit within most photography backpacks intended for flying. And after lugging my kit on many trains, into overhead lockers and on luggage racks I was glad I’d opted to keep my kit minimal. If you’d like to see the shots I got during this trip see the Travel section of my website. A note on hand luggage: I flew with EasyJet for this trip and I was concerned about their new “Hand Luggage Guarantee” where if your bag measures larger than 50x40x20cm there might not be space for it in the overhead lockers and it’ll end up in the hold. In my opinion this is a waste of time and just an attempt to sell more quick boarding passes (“quick, everyone, fight your way on the plane so you can cram your hand luggage in before all the space is taken!”). There was enough room for everyone’s hand luggage on both my flights. Whether this will hold true in the future or not I don’t know so having a plan B for the safe transit of your kit is wise. Hello, I have stumbled upon your blog while looking for info about this Velbon Ultra REXi on the net. Didn’t your opinion change over the time? Would you still recommend it for purchase? 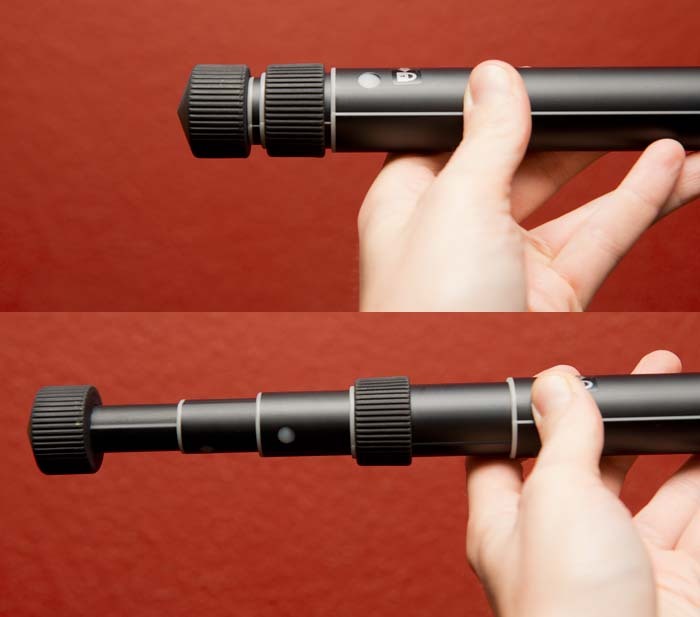 I also have a bigger Gitzo like you and I am searching for something much more compact in addition. Hi, no, my opinion of the tripod hasn’t changed. I still use it for travel, although I stick to using my Gitzo for landscapes. 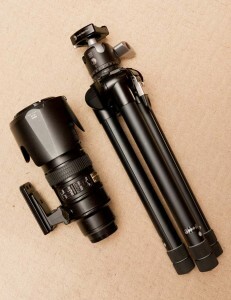 I haven’t looked at other small tripods in the same price range lately but for the price I think it’s very good.